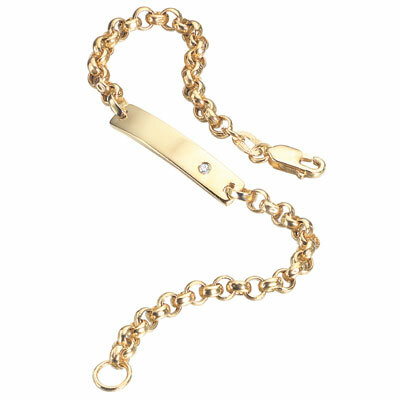 0.01 Cts Diamond Plain ID Children's Bracelet in 14K Yellow Gold . 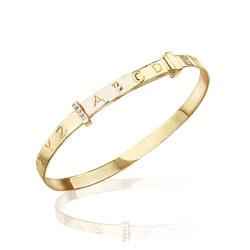 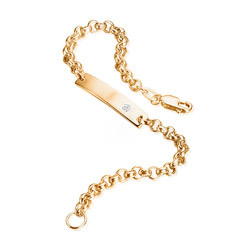 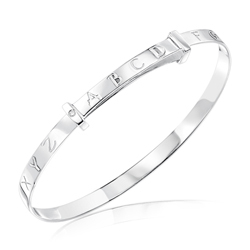 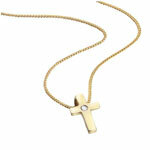 This 14K Yellow Gold Bracelet features Flat Plain ID Bar, with one Diamond, suitable for engraving your own message. 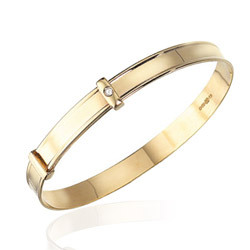 Approximate Diamond Weight: 0.01 Carats. 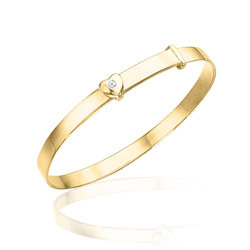 Part of the MySolitaire D for diamonds Collection.